Oh man, I knew it would happen! Our Internet conveniently died yesterday, ruining my good run of publishing a new blog post everyday during September! I did try to attempt to get onto WordPress yesterday, but all I was met with was a blank screen and that annoying little circle of lines that goes round and round when you’re waiting for something to refresh or load! Oh well, it is what it is! So now that we have our Internet back in all it’s beautiful high-speed glory, I can share with you today what I was going to share with you yesterday! Oh, I swoon! It’s just so lovely! I can’t believe I was so unsure about the fabrics I picked – but they all work so well with each other! Hooray! 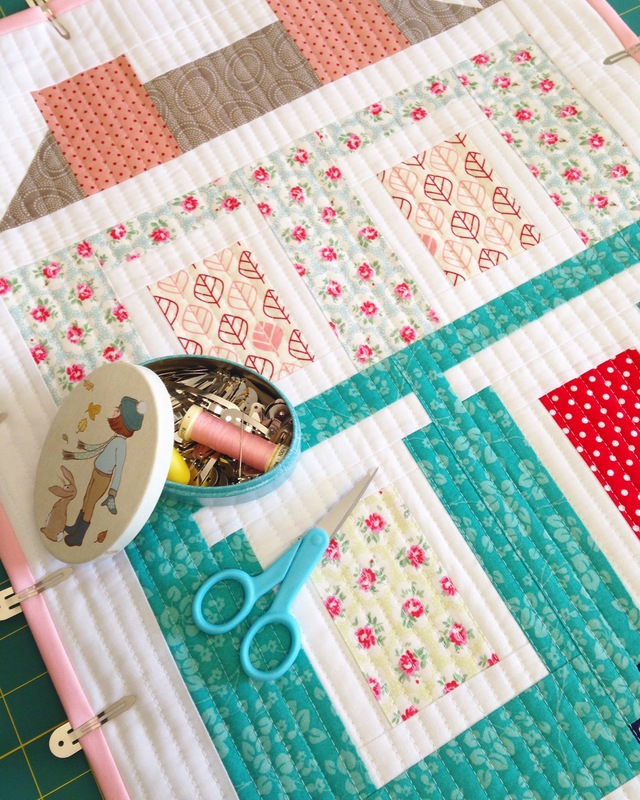 I was planning on quilting it in a grid-like pattern, similar to the original but on the day I quilted it I was more in the mood to stick with my classic straight-line quilting style than to branch out of my comfort zone! I’m really am so happy with how it worked out though. Super modern. Super chic. Super darling! And today I caught myself gushing even more about this Mini in my September Favourites video! It’s been a while since I shared my monthly favourites on my blog! I hope you enjoy watching it! I hope you all have a wonderful weekend wherever you are in the world and use the time to sew til your hearts content! Previous PostSeptember 23rd: TUTORIAL // The Mountain Block! Next PostTUTORIAL // FPP Friendship Circle Block! Sew lovely Amanda. Love every fabric selection! 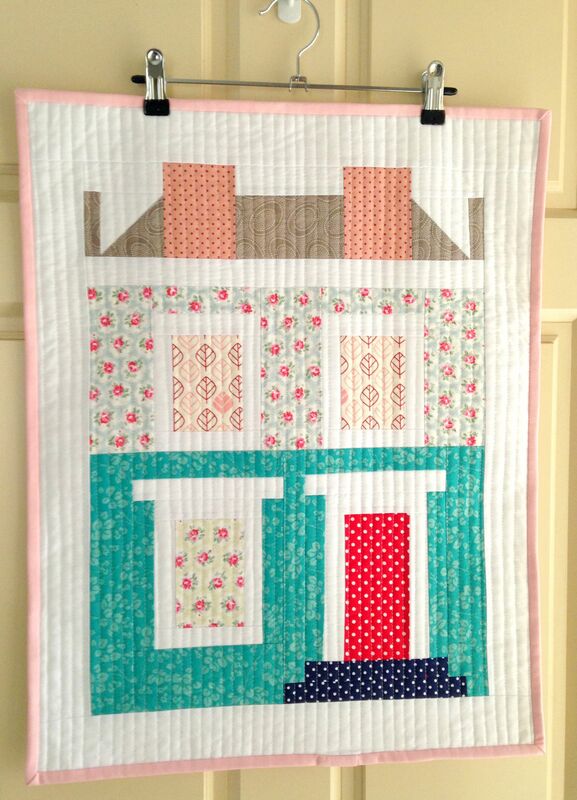 your house block quilt turned out super cute! Makes me want to do it, too :-). Just a thought, the hanger you are using to display it right now is a unique way to hang it, and I personally would hang it like that – skip the alternative. My 2 cents :-).